WITH MORE THAN 1.4 million people in Florida enrolled in the Affordable Care Act (a.k.a., Obamacare) through the federal exchange at www.healthcare.gov, and 94 percent of them receiving subsidies to reduce their monthly insurance payment, the ruling by the U.S. Supreme Court on June 25 brought about a welcomed sigh of relief for many residents. To recap, the Supreme Court justices ruled in favor (a 6-3 vote) that receiving subsidies did not have to depend on whether the state in which the residents live have established their own insurance marketplace. Florida, for example, was one of the states that elected to utilize the federal marketplace at www.healthcare.gov, instead of creating its own. This fact, combined with the observation that Florida has the highest enrollment numbers at the federal exchange over any other state in the country, means that more than 1.3 million of our state’s residents had the most to lose — if the U.S. Supreme Court’s decision had swung in the other direction. In other words, the loss of the credit made available by the subsidy would have increased the cost of a resident’s monthly premiums by 359 percent, NPR and Kaiser Health News report. But, it did not, and so these residents will continue to receive their credits. This, however, does not mean that the debate is over. Far from it. Proponents of the Affordable Care Act (ACA) say that there is still much work to be done in Florida for the estimated 800,000 residents who fall in the “coverage gap” — meaning that if a person falls at or below the federal poverty level, then they do not qualify for subsidies under Obamacare. Meanwhile, those who still oppose the ACA say that proposed changes will continue to be brought to the table. Congress has quietly made approximately 50 changes to the healthcare law already, according to officials at the Foundation for Government Responsibility, which is headquartered in Naples, Florida. Whether for or opposed to the Affordable Care Act, one thing remains certain — at least for now — which is that Florida residents will continue to receive credits in order to help pay for their health insurance premiums. 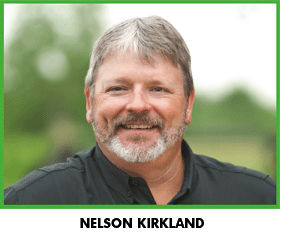 Nelson Kirkland is publisher of Central Florida Doctor magazine. He may be reached by e-mail at nelson@centralfloridamediagroup.com.